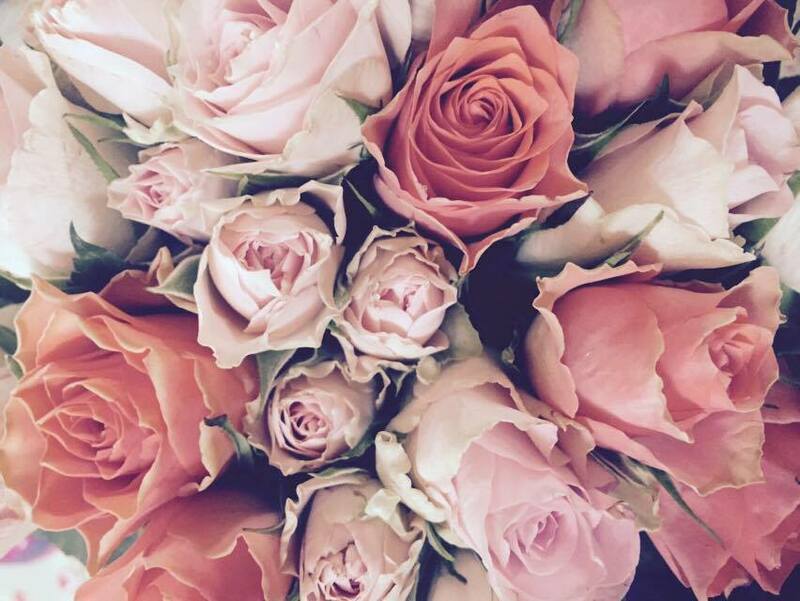 Choosing the location for your Honeymoon can be a bit of a mind field. Unless you have always had your heart set on a destination, when you start to look at different places it can become a little bit over whelming. So to add to that have you thought about traveling to Thailand on your honeymoon? Thailand is often thought of as a backpackers stop off, which often it is however it is also so very much more. Offering those beautiful white sand beaches, turquoise sea, luxury accommodation and amazing food, I truly believe it could be the prefect location for your honeymoon. I have put together my top 5 honeymoon locations in Thailand. Phi Phi is a collection of islands located to the west of Phuket, and only accessible by boat. Making it the perfect romantic get away. Phi Phi is a relaxed island, with beautiful sandy beaches and clear turquoise sea, paradise at it’s best. Phi Phi offers many different types of accommodation from budget to luxury hotels, there is also a variety of restaurants and bars for the evenings. 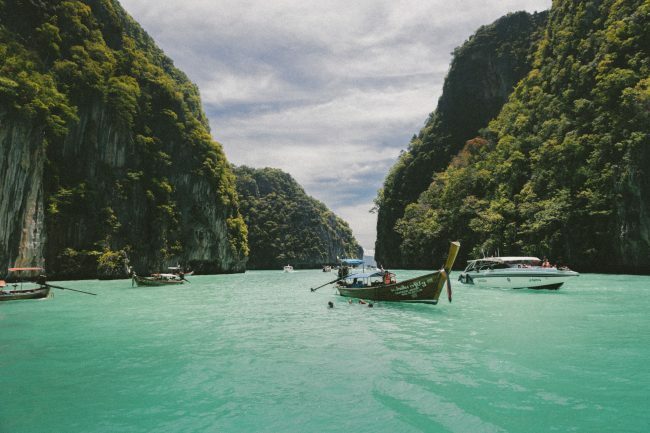 Phi Phi not only is a stunning collection of islands it also offers plenty for you to do, including amazing snorkelling, shark watching tours, rock climbing not various boat trips. Phi Phi is popular with people popping over for a couple of nights, why not book one of the many luxury hotels for a couple of nights of paradise before heading back to mainland Thailand. 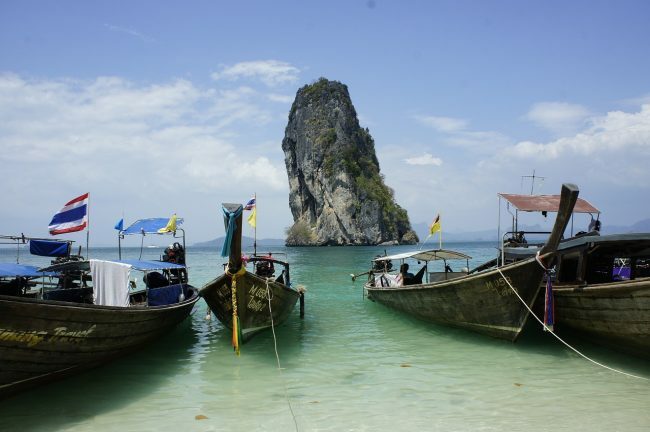 Karbi is a collection of small islands located around 400 miles south of Bangkok. The islands not only have those stunning beaches and turquoise sea, there are also lime stone cliffs for those who love to rock climb and rainforests, with a wealth of historic monuments to visits. 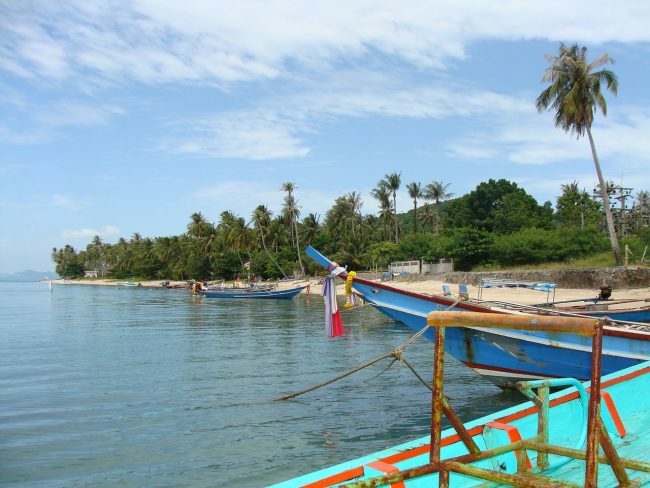 The islands are home to many small fishing villages where you are able to taste lots of local produce. With numerous different excursions to take part in you will never be short of something new to do while staying in Karbi. Hua Hin is one of Thailand’s oldest resorts, it offers something slightly different with a real mix of old world charm and modern living. 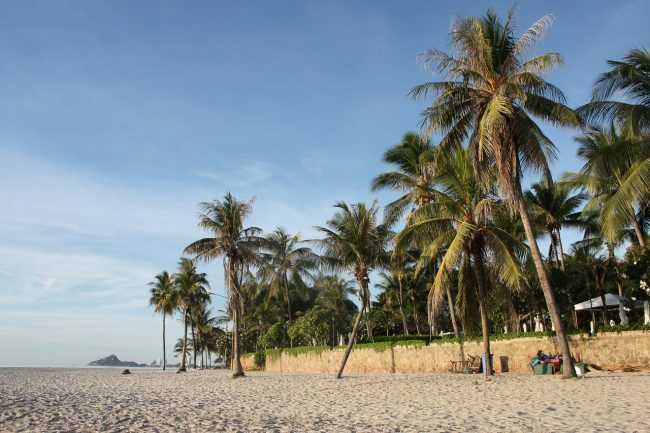 The beaches in Hua Hin are as beautiful as the smaller islands, with water sports being very popular in this area. Of course there are plenty of adventures to be had in Hua Hin, with caves and waterfalls to explore. As Hua Hin is a fishing town there are so many restaurants for you to be able to try the catch of the day not forgetting the traditional Thai food. Hua Hin is a great place for you to visit while on honeymoon with various accommodation types to fit your budget. Staying in Khao Lak gets you away from the busier resorts in Thailand, like most of the resorts it offers beautiful beaches, fabulous restaurants and accommodation types to suit any budget. One thing that makes Khao Lak a must have visit for me, is that it is located near to the Khao Lak­ Lam Ru National Park. Giving you the chance to see wildlife at home in its natural environment, elephants, tropical birds, monkeys and so much more. If you are planning on doing some island hoping Khao Lak is a great place to start with regular boats leaving to various islands. Why not use Khao Lak as your base and spend a few days visiting the different islands. Koh Samui is the third largest off the islands of the east coast of the main land. Koh Samui is becoming increasing popular with honeymooners, an island that offers everything you could wish for. Beautiful beaches, fishing villages, luxury hotels and history with various Buddhist monuments and temples around the island. If like me your partner is more interested in exploring the island and the cuisine than reading a book on the beach or by the pool, then Koh Samui would be perfect for you as it offers both. Take a boat to out to the marine national park to see the conservation work that is happening to protect the marine life around Koh Samui. All of these locations offer just about everything you could possibly want from a Honeymoon, activities, relaxation, luxury and not forgetting making amazing memories. Which of my top picks would you chose for your Honeymoon to Thailand? When someone says honeymoon, I instantly think the Maldives. I think that’s because, since being young I have always dreamt of a honeymoon in the Maldives. Unlike reality, which was a week in Devon (which was wonderful by the way). 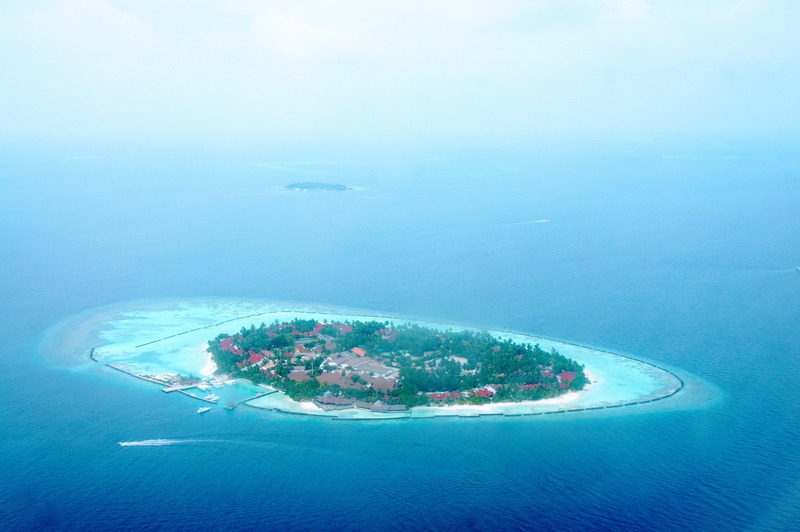 The Maldives are a collection of more than a thousand coral islands. The main island of Malé is home to a busy fishing market, lots of restaurants, shops and the airport for the islands. 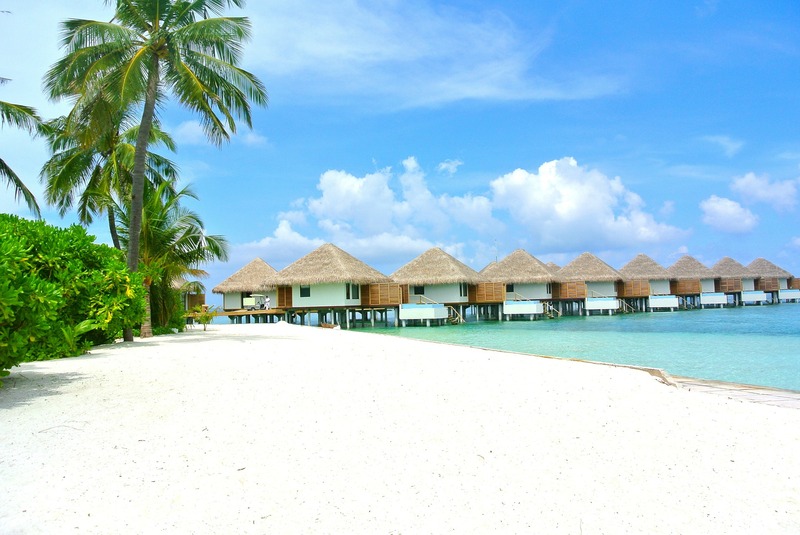 The Maldives are famous for their beautiful beaches, blue lagoons and stunning coral reefs. Many private islands are covered in beautiful white sand and surrounded by the clear blue ocean. Lots of the islands have their own coral reef. 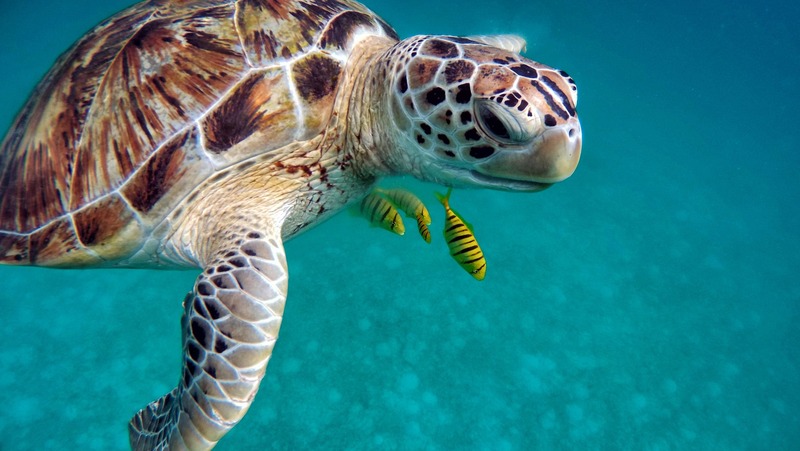 So there are plenty of amazing diving and snorkelling opportunities to be had. With their own personal reef, you don’t have to swim out far to find yourself submerged with marine life. Some of the best in the world. There are so many styles of accommodation to choose from. All-inclusive hotel resorts, with every kind of facility you could ever want. 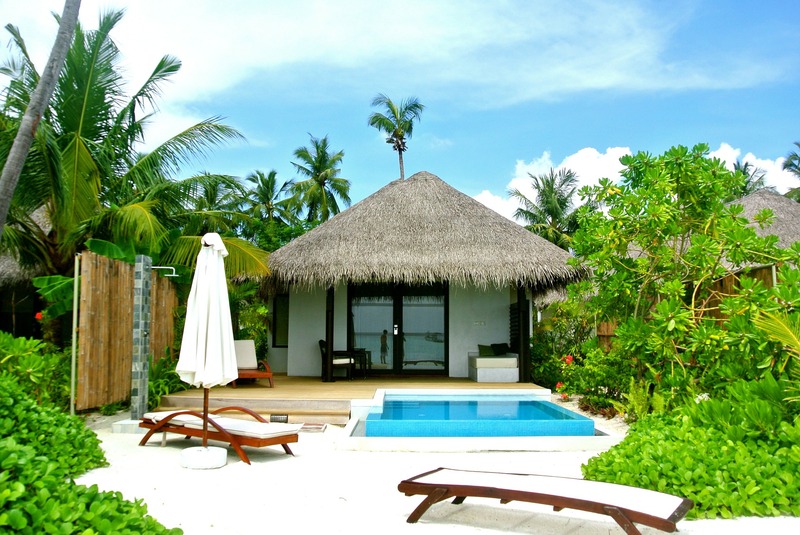 Exclusive pool villas, set within resorts so you have access to hotel facilities. Tiny boutique hideaways. Garden Villas set in the stunning gardens of the resorts. 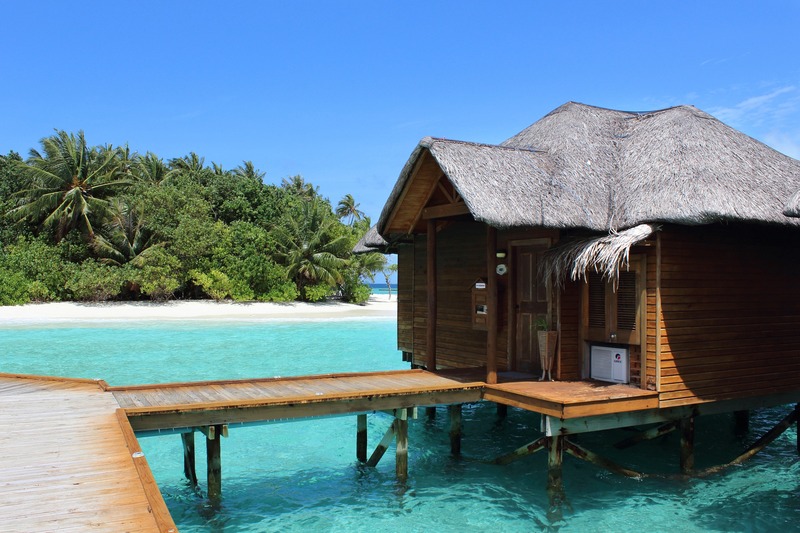 Beach side bungalows, where you can step out of your bungalow straight onto the beautiful sand, and of course the amazing over-the-water bungalows, set out in the lagoons. I’m sure that when people think of the Maldives, they think about drinking cocktails on the beach, and jumping into the sea for a swim whenever the mood takes them. However there are so many other things to do while in the Maldives. I have put together a list of ‘musts’ while you’re there. The Ithaa Undersea Restaurant – off the Island of Rangalifinolhu. 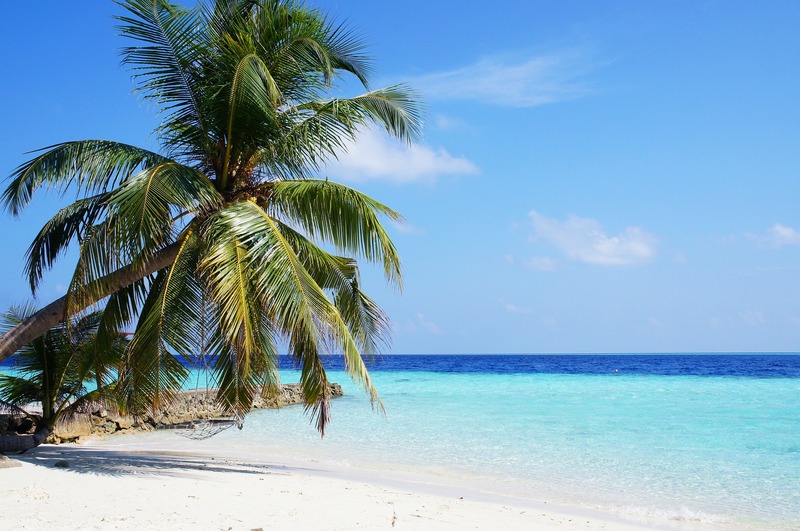 Diving – the Maldives offer some of the best diving in the world. Surfing – people travel to the Maldives to enjoy some of the best surfing around. Beach side Balinese couples massage. A scenic flight over the islands. With so many different islands to choose from, which one will you choose for your honeymoon destination? As a child I, along with my younger sister, experienced travel sickness. Unfortunately she still suffers now. Like most childhood motion sickness cases I grew out of it. For adults it can cause concern when travelling in everyday circumstances but also when wanting to travel on holiday. Cars, boats, planes and trains can all be a struggle for suffers. We all know someone that can read whilst travelling as a passenger in a car, with no ill effect. Yet others suffer terribly. It is thought that motion sickness occurs when there is a conflict between what your eyes see and your inner ear balance. Both sending different confused messages to the brain, leaving that feeling of motion sickness. Both seen and felt but detected by the brain in different ways. 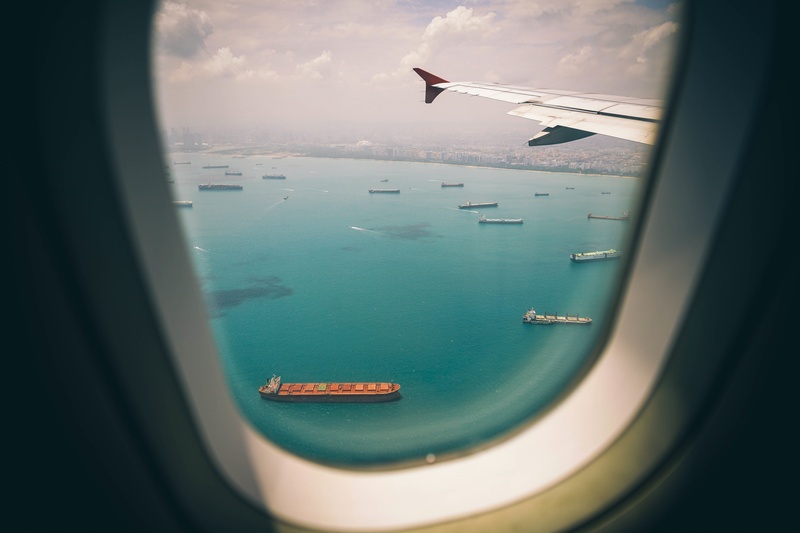 Motion sickness can give the sufferer many different symptoms: dizziness, nausea, vomiting, cold sweating, headaches, extreme tiredness, increased saliva and rapid, shallow breathing. So dealing with this is not a pleasant thought when planning a holiday, especially your honeymoon. Imagine planning your honeymoon around your motion sickness or never being able to go on a plane to your dream destination. Well, TravelShades are a new product that are designed to help relieve or in some cases cure your travel sickness. It means no more travel sickness drugs to take. TravelShades are a sunglasses style product that has one translucent lens. It allows light illumination but you are unable to see movement. The TravelShades are also designed so they can be flipped upside down to allow for the other eye to be covered. By doing this it can help to prevent symptoms of motion sickness. Sounds very simple when you think about it. TravelShades advise you to try them out for 2-3 days at home, before going on your journey. Putting them on for 3-5 minutes at a time, several times a day. This will allow you to get used to having the reduced sight but giving you the best chance of getting results. Horizon and Horizon Junior models can be worn over your own glasses. LoLight are designed for low light travel conditions, like night time. TravelShades also provide protection from the sun’s UVA and UVB rays, but as with most eyewear they should not be used to view the sun directly. While wearing these glasses your vision will be restricted so no driving is allowed. It is recommended that you do not walk or run, consume hot drinks or hot food, be careful when handling fragile or breakable items and make sure you take care when judging distances. TravelShades have an rrp of £39.99 for the adult models and rrp of £29.99 for the junior. With a 30 day money back guarantee, you have nothing to lose. My sister is looking forward to trying these out on her next trip away, to see how they help with her travel sickness. So, with these new travel sickness glasses launching February 28th it will allow people to make more exciting travel plans. Planning your honeymoon now may not be quite so restricting. The world is your oyster. Full of fabulous destinations, with a travel sickness free journey!